Part No: SSI-CP024SFX1C Category: Analytical Pumps. Tags: 10000psi, 24mL/min, analytical pump, cp range, dual head, fluid transfer, hplc, positive displacement, pressure leak sensors, self-flush, ssi, stainless steel, standard seal. 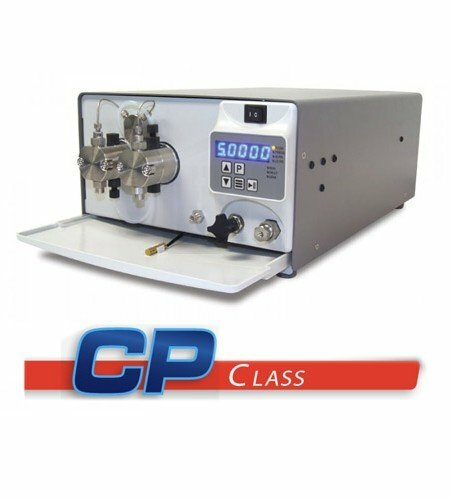 CP Class Pump, 24 mL/min, 10,000 psi, Stainless Steel, Self-Flush, with Transducer, Aqueous Seal with Stainless Steel Energizer, 1/8″ inlet, 1/8″ outlet. Max. Flow and Pressure Ratings: 24mL/min (10,000 psi).